I know I could do it much better after everything I’ve learned this past year. Keep the speakers, keep the tweeters, keep the sub, get a better head unit, more powerful amp, some mid-bass speakers underneath the rollbar... Someday! While I LOVE the look of the Retrosound HU... After the honeymoon period I started to get annoyed by a few flaws. The volume and track change knobs have incredibly fine detents, so much so that when I try to skip a track, I’ll usually skip 3 or 4. Hell, the tracks will change just in normal driving from my cars vibrations! Guess it doesn’t really matter for volume, but it’s super annoying for the other knob. I want something with a meaty “click”, that takes a good amount of force to rotate. And heavy knurling on the knobs. Also, the track change knob will just straight-up stop working occasionally. 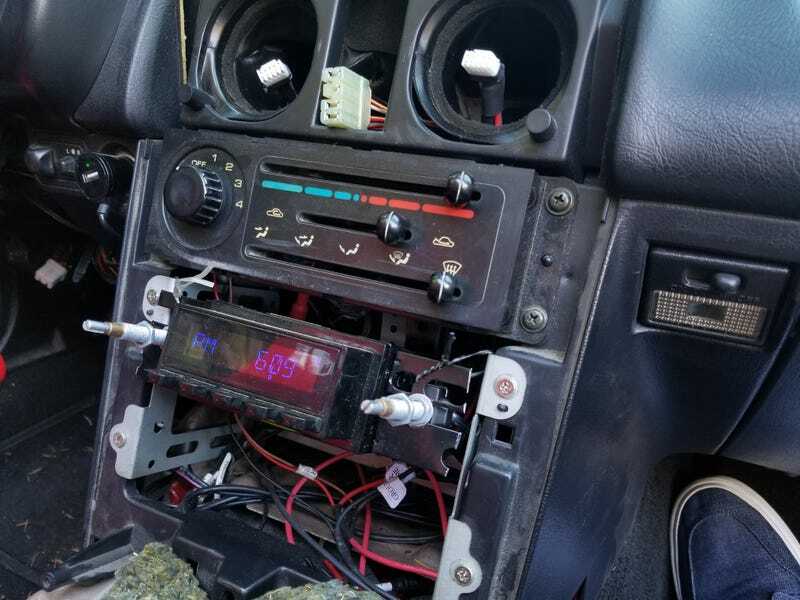 The problem with upgrading is there are basically zero head units that look decent without spending an insane amount of money. I think retrosound easily makes the best looking HU under $500, but other than that.... There’s one other retro style HU manufacturer I can think of and they seem to be garbage based of of reviews. Anyone want to buy me a nice McIntosh head unit? No...? Okay, how about this?